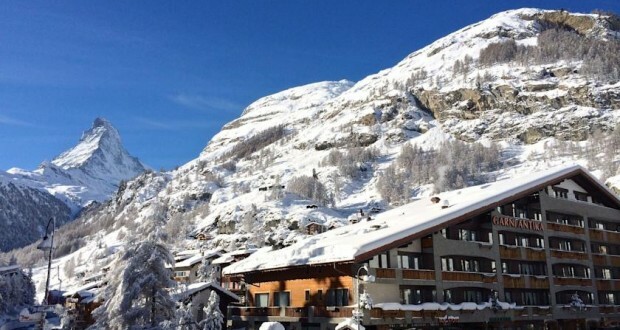 Although the Antika hotel is situated only 110 yards from Zermatt’s church and the main street (Bahnhofstrasse), it enjoys very quiet surroundings. The cable cars are only a 5-minute walk away. All rooms have private bathrooms and feature a cable TV and a balcony. South-facing rooms offer superb views of the Matterhorn. Rates include the buffet breakfast, access to the spa area (sauna, steam bath, whirlpool and relaxation room) and internet access. A tanning bed is available for an additional fee. The lounge of the Antika hotel invites you to unwind with your favorite drink in front of the fireplace.